When you want the absolute best long distance moving services, call All-Ways Moving & Storage. There are complex logistics required for moving a long distance. 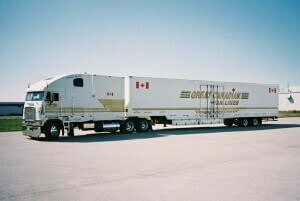 Our team has extensive experience in all aspects of moving your belongings to your new destination. As one of the only full service cross-country movers in Laguna Hills, you can count on us to provide nothing but professional moving services from start to finish. We can provide as much assistance as you require. Let us show you that a cross-country move doesn’t have to be as stressful as you think. All-Ways Moving & Storage is happy to help with long distance moving services for both homes and businesses. We have experience in assisting small condos, large estates, and entire office buildings in getting their items from “point A” to “point B” quickly and all in one piece. When you are moving a long way from your current home or business, you need to ensure your things are packed securely. Even the smallest mistake can cause damage during the long haul. Our cross-country movers in Laguna Hills have gone through intensive in-house training that ensures the high quality of service we provide. Let us show you how All-Ways Moving & Storage is different than the average company. For more information regarding our long distance moving services, call All-Ways Moving & Storage today. Dial (949) 768-0220 for your free moving estimate!